Vanity plates. Now playing at a parking lot near you. I've always been fascinated by personalized license plates. Funny, cute, clever, nonsensical - I read them all. How can I not appreciate the creativity used by people willing to entertain those that share the road with them? When I purchased my new car in December, I decided to entertain Bay Area drivers with my own clever piece of license plate genius. (Admit it, it's nice to have something to read while you're at a dead stop in traffic.) For years I've had great ideas, but every idea I've had has been unavailable, not allowed, or didn't work with the DMV's 7 character limit. From vague Disney and movie references to random lyrics and quotes - my choices were too complicated. I laughed as I realized translating my deepest, most ridiculous thoughts into a 140 character Tweet is so much easier than compressing an idea onto a license plate. Wait, Twitter. Yes! That's when the idea came to me. My Twitter handle is iRunDisney. That says a little bit about me. It says I run, it says I like Disney, it says I run Disney races. My very first race was a runDisney race, and was a special experience because I shared it with my daughter. That race opened the door to many more races, goals, distances and personal achievements. A few minutes after the idea struck me, I ordered and paid for my personalized plates. Three months later they were delivered to my local DMV, where I eagerly picked them up with a giant grin plastered on my nerd face. I like it. I wish the DMV didn't have to use CAPS LOCK, but I like it. Before you run off to waste the next hour of your life laughing at license plates on the internet, I leave you with my all time favorite personalized plate. Look familiar? It belonged to Smokey in the movie Friday. Yes, I did try to claim it years ago. No, that did not work out for me. 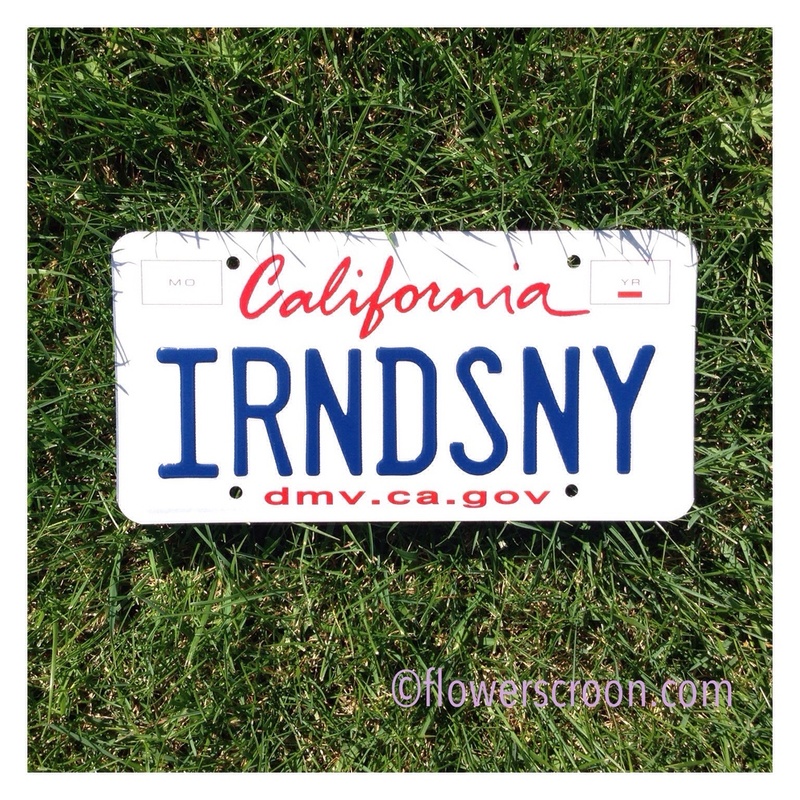 Do you have a personalized plate you love? Have you seen a funny or clever plate you'd like to share?